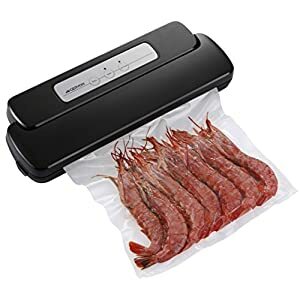 We take full responsibility for this vacuum sealers quality. a. The bag with single or two-sided reticulated surface, can be pumped vacuum and sealed. b. The bag with a folding angle on both sides, can be pumped vacuum and sealed. c. The bag without reticulated and without folding angle, just can be sealed only. 1. 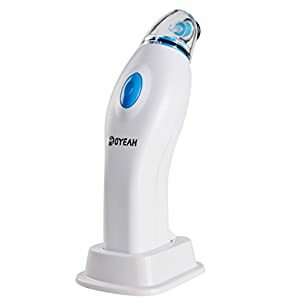 Food with moisture like meat, fish, vegetables and so on, please wipe the moisture with a towel or tissues or wrap it with a disposable plastic bag before vacuum. 2. 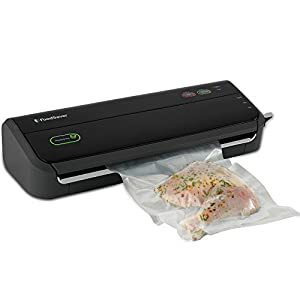 For particle food, put the small particle in plastic bags before vacuum, because it can go inside the vacuum sealer. 3. Don’t vacuum liquid food ( soup, water ), this kind of food is only suitable for seal. 4. When put vacuum packed food in the microwave oven for heat, be sure to make an air hole on the bag. 5. 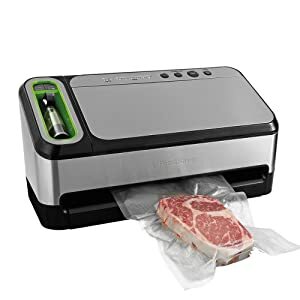 When use the vacuum sealer machine for a long time, be sure to turn off the vacuum sealing machine for cooling before continuing to work. 6. 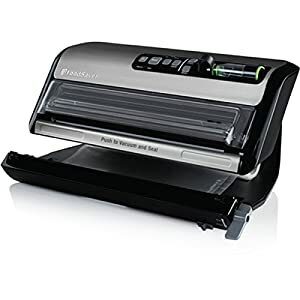 Split the cover and hook when store the machine. 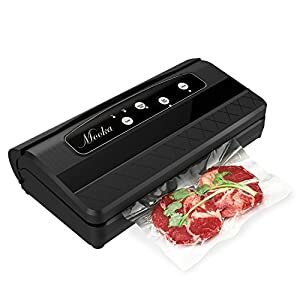 Auto Vacuum and Seal Button: Dual-purpose button vacuums out air and creates a strong heat seal, automatically stopping once food is airtight and ready for storage; manual pulsing while this compact food sealer vacuuming and sealing. Separate Sealing Button: Easily seals rolls for custom sized bags. 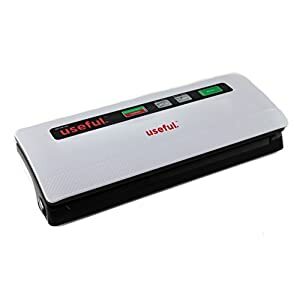 5-7 Times Longer Storage: Despite its slim body, this electric food vacuum sealer has a strong and quiet motor inside so that you can easily eliminate air, seal the food, and keep food fresh for longer, giving you up to 5-7x more storage time. 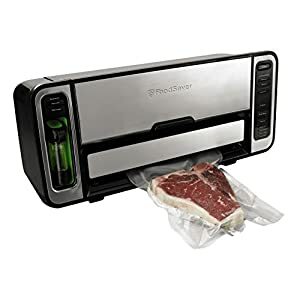 Save for Food or Files: This portable vacuum sealer is more than just a food saver! 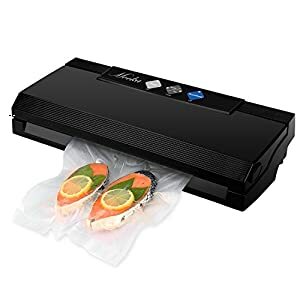 Not only can it keep fresh for normal grocery and food, but also protect photos, important files, letters, camera lens and the other digital products for longer time. A Must Assistant to keep supplies dry for home, camping or traveling. 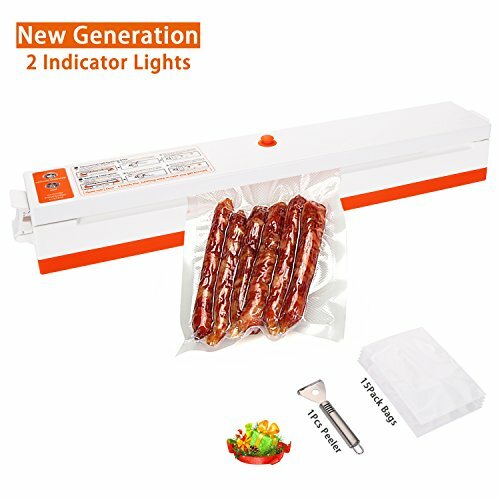 Package & Warranty & : 1 x Vacuum Sealer, 1 x Y-shape Peeler, 15 x Heat-Seal Bag (6.7 x 9.9 inch), 1 x Manual. If you are not satisfied with items from Mateplus, you will get full money refund.